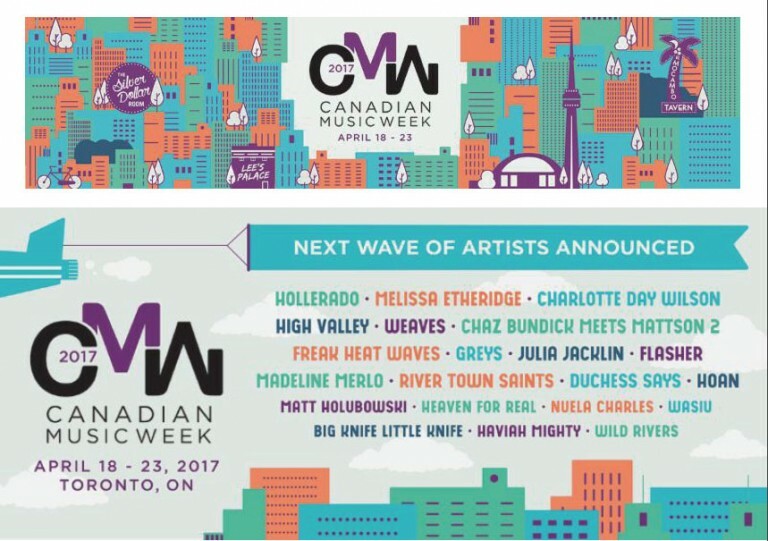 CANADIAN MUSIC WEEK announces the next wave of artists for the 2017 edition of the festival. Newly added performers include double platinum rock icon MELISSA ETHERIDGE, Toronto’s indie-rock mainstays HOLLERADO, along with the city’s critically acclaimed rising stars CHARLOTTE DAY WILSON, WEAVES and GREYS, Montreal’s electronic-punk outfit DUCHESS SAYS, and the new psychedelic-jazz collaboration from composer / producer Toro Y Moi, CHAZ BUNDICK MEETS THE MATTSON 2. The SiriusXM House will land at The Great Hall, packed with two nights of music including a special headlining set on Saturday with Canadian Country act HIGH VALLEY. Please click here for full list of new additions and stay tuned for further updates. This year’s festival is set to take place April 18 – 23 at participating venues across downtown Toronto.